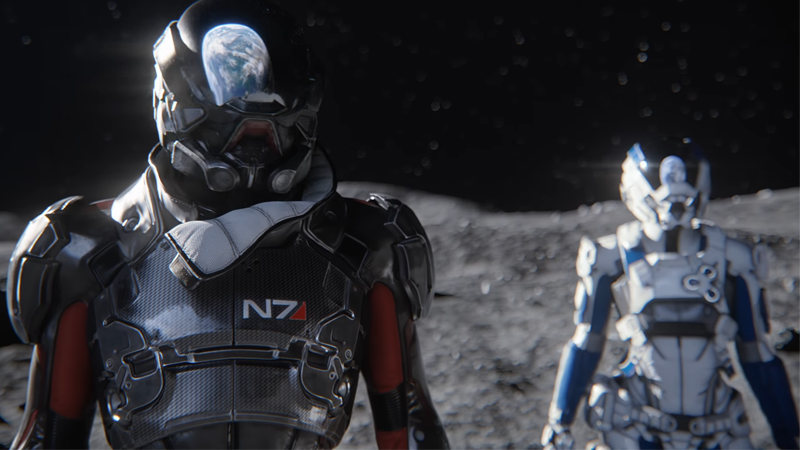 The latest entry in the scifi RPG series Mass Effect, Mass Effect: Andromeda is out next year—and with it, a bevy of novels designed to tie into the game’s story. Usually, books like this aren’t anything to write home about, but you can’t help get excited with the news that one of them will be written by N.K. Jemisin, the winner of the 2016 Hugo for Best Novel. Jemisin’s sci-fi/fantasy climate change saga The Fifth Season stormed the Hugo Awards this year, so she’s an interesting writer for Titan Books to tap for the third novel in the line, currently due out in Fall 2017. The series, which tells stories set around the main plot of Andromeda—set in the 28th century, and revolving around a flotilla of colony ships holding humans and others from Mass Effect’s stable of races searching for a new home in the Andromeda galaxy—will kick off with Nexus Uprising in March 2017. The first book will be written by Jason M. Hough (Dire Earth Cycle, Zero World) and K.C. Alexander (Necrotech), followed by Annihilation by Catherynne M. Valente (Palimpsest, The Orphans Tales) in Summer 2017, and then Jemisin’s Initiation in the fall. The Mass Effect tie-in novels have had a bit of a bad rep—mainly thanks to 2011's Deception, which was declared so poor, and so inaccurate to the franchise’s story, that fans petitioned for it to be stricken from continuity—but the talent behind this new wave of books is pretty darn interesting.